In the framework of the activities of the working group dedicated to building integrated photovoltaics (BIPV), set up by the ENERGY Institute at HEIA-FR with support from the Building Innovation Cluster, building sector’s key stakeholders visited the ‘Silo Bleu’ construction site along with members of the ACTIVE INTERFACES research project. 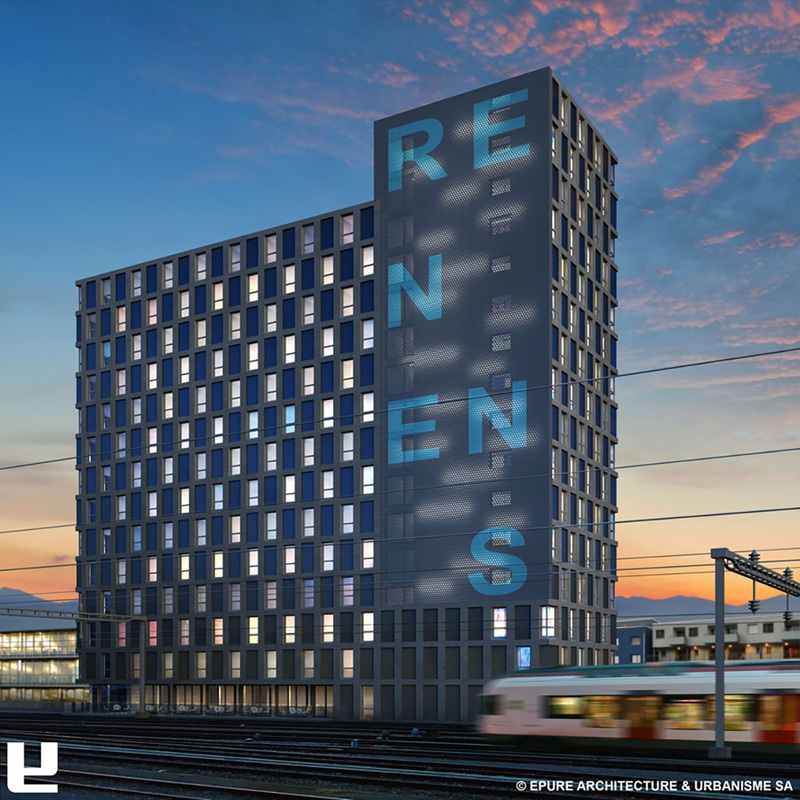 This 15-storey building, which will host student housing close to Renens station, will integrate almost 1300 m2 of glazed photovoltaic covering. The visit was organized by Solarwall SA, a company based in Bussigny (CH) and mandated as solar engineer for this project. Visitors were given the opportunity to learn more on the constraints of such a building site but above all on solutions implemented to meet the latter. In this still poorly understood area, in particular in French-speaking Switzerland, the ACTIVE INTERFACES research group calls in for more visibility and documentation of best practice projects with BIPV. This approach promotes the competencies of companies working in this sector and demonstrates that photovoltaic façades are convincing solutions from an energy turnaround perspective. Solarwall SA produces and markets multifunctional BIPV solutions which are used for the replacement of conventional construction materials from different parts of the building’s envelope such as roofs, skylights, windows or façades.